Wilma Votruba, 90, formerly of Clarkson, died Friday, July 6, 2018, at the Countryside Nursing Home in Madison. Mass of Christian Burial Monday July,9, 2018 10:30 A.M.
Wilma Victoria Votruba was born August 21, 1927, in Colfax County to Joseph A. and Marie (Kadlec) Vrba. She attended Langley School District #34 in Colfax County from 1st through 10th grade and completed her education graduating from Schuyler High School in 1943. Following graduation Wilma worked on the family farm until 1948. 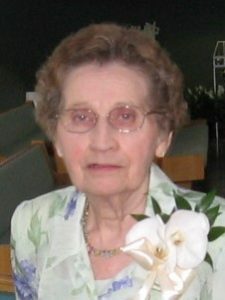 On April 10, 1948, she married Loran Votruba at SS Cyril and Methodius Catholic Church in Clarkson. Wilma and Loran farmed by Dodge, Nebraska from 1948-49. In 1950 they moved to a farm south of Clarkson where they farmed until their farm sale in 1995. In 2000, they moved to Fremont and in 2014 to Homestead Assisted Living in Norfolk. They have been at Countryside Home in Madison since 2017. Wilma is a member of St. Mary Sacred Heart Catholic Church in Norfolk, past member of St. Mary's Catholic Church in Schuyler and St. Patrick's Catholic Church in Fremont. In Fremont she was also a member of St. Joan of Arc. 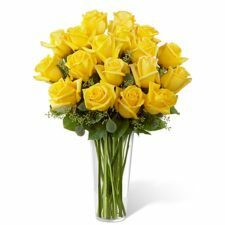 Wilma is survived by her husband, Loran of Madison, son Larry (Nell) Votruba of Norfolk, grandchildren; Lance (Amanda) Votruba, Trevor (Shelley) Votruba, all of Gretna, Katie Votruba, Plano, Texas, and Holly (Matt) French of Palm Harbor, Florida, great-grandchildren; Lodan, Allyson, Covin, Aspen and Austin Votruba, Adelyn and Schuyler French, sisters Anita Poulas, Fremont and Gladys Vodvarka of Dodge. She was preceded in death by her parents, Joseph and Marie Vrba, parents-in-law, Frank and Lizzy Votruba, brothers and sisters-in-law; Jim Poulas, Frank Vodvarka, Adolph and Ludmilla Stecher, Jerry and Jennie Stecher, Raymond and Doris Stecher, and Frank Votruba.